Sheffron Law Firm, P.A. - Innocent man released after 30 years on death row. Innocent man released after 30 years on death row. 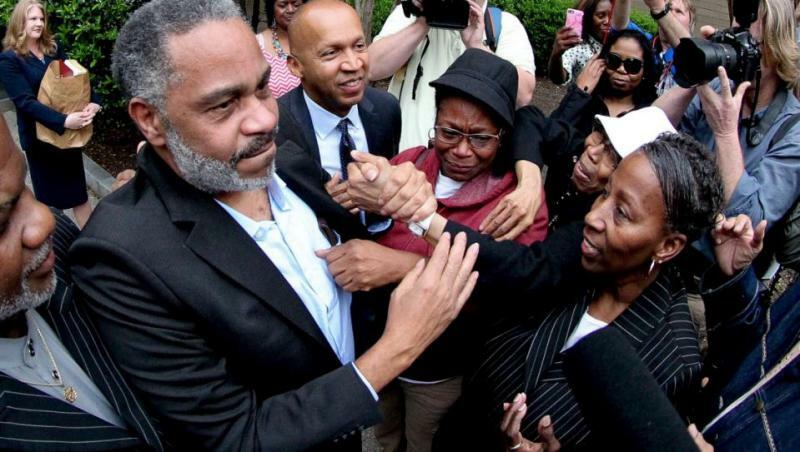 After almost 30 years on Alabama’s death row, Anthony Ray Hinton walked out of prison a free man on Friday, April 3, 2015. Hinton, one of the longest serving inmates on Alabama's death row, was convicted of two murders in 1985 after his mother’s revolver was linked to killings that took place in the Birmingham area. In 2002, EJI attorneys brought in three of the country’s top firearms examiners, who testified that the revolver used to convict him could not be matched to the crime evidence. However, state prosecutors refused to re-examine the case. Hinton is the third death-row inmate freed in the United States in less than a month. Since 1973, 151 people besides Hinton have been released from death row. And as the number of exonerees continues to grow, fundamental questions are being raised about potential flaws in the system. "I shouldn't have [sat] on death row for 30 years," Mr. Hinton told reporters Friday. "They had every intention of executing me for something I didn't do. ""All they had to do was test the gun."